In U.S. society, socio-economic class is often rendered as invisible identity, yet it shapes every facet of our lives; where we live, what kind of car we drive, whether we can afford health insurance, and the quality of education we receive. As scholar bell hooks has said, “class matters” (2000). 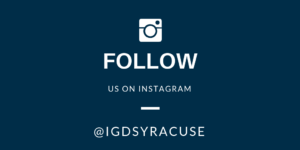 In this intergroup dialogue course, we will explore identities and experiences relative to economic inequality and education at SU and in the city of Syracuse. 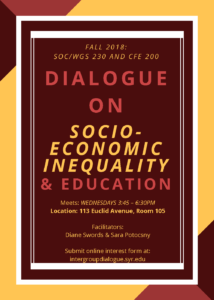 Together, we will examine how class restricts access to resources and shapes our identities as students and community members.